Clay Smith's cigar-chomping woodpecker has become a well-known icon in the automotive and racing industries. 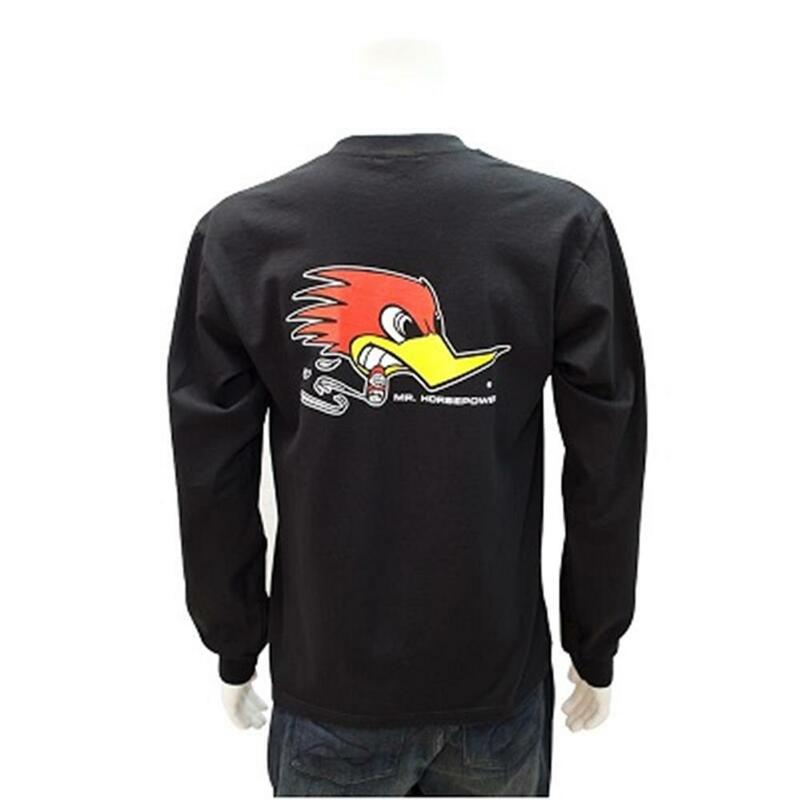 Motorsports famous Cigar-chomping Woodpecker "Mr. 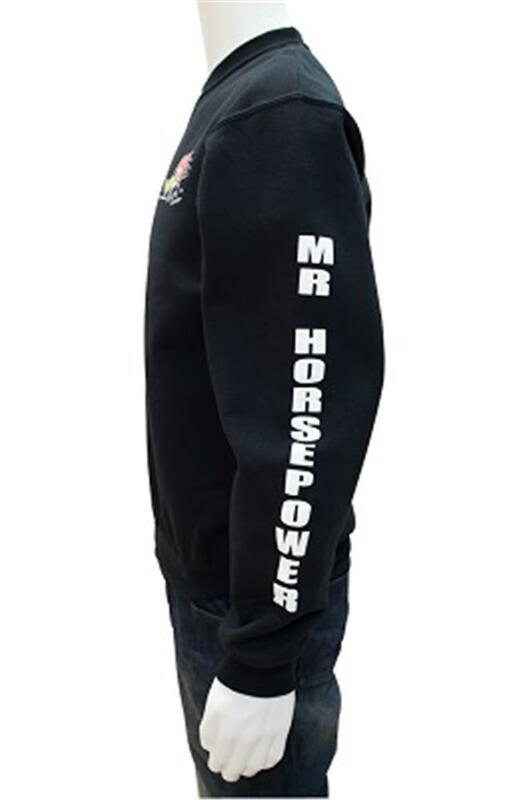 Horsepower" Logo is printed onto the front left chest and large across the back, along with his name in text down the sleeves.